Today we’re delighted to open our brand new Northern Quarter bar. We are very much in ‘soft opening’ mode, so please be patient/gentle as not everything will be 100% finished (and some things may only be 50% finished! ), but we will have 14x keg and 4x cask lines of quality beer pouring from 12 noon until 12 midnight. It’s been a huge effort by many many people to get to us into this position and we couldn’t be happier to be part of the fabric of Manchester’s pub/bar scene. Having a brewery and in the city centre has been great, but being able to welcome and speak with customers directly again is fantastic. The experience of having our own taproom at the brewery was brilliant, but this is another level of excitement to be open all week with more beer on offer. We are located on 35 Dale Street and share an entrance with our good friends Idle Hands coffee shop. We have taken over a former office in a Grade II listed building which has at times been a laborious and challenging experience, but the space is definitely worth the hard work. At times looking as it stood empty, we fluctuated between thinking it was far too big and it being far too small - now the majority of the fittings are in, it’s looking like a nicely balanced space. From first going to Matt & Phreds as a student in 2002, the Northern Quarter has always been a place I’ve associated with fun and diversity so to set up our bar in a cool little spot has been genuinely humbling. The fact that a brewery we have huge respect for, Northern Monk have opened up on the same street just galvanises how vibrant the area is. The ethos of the bar is extremely simple: to serve great drinks, provide great service and be inclusive to all. The bar will be accessible to everyone and be a safe environment for everyone to enjoy. We are also not only focussing on beer. We have spent a very long time sourcing amazing wines, natural wines, spirits and soft drinks. The list is too extensive to write here, but we’re very proud and excited to have our brewery neighbours Three Rivers Gin as our house gin - they make stunning gin and the fact they’re in a railway arch a few doors down from the brewery is great. 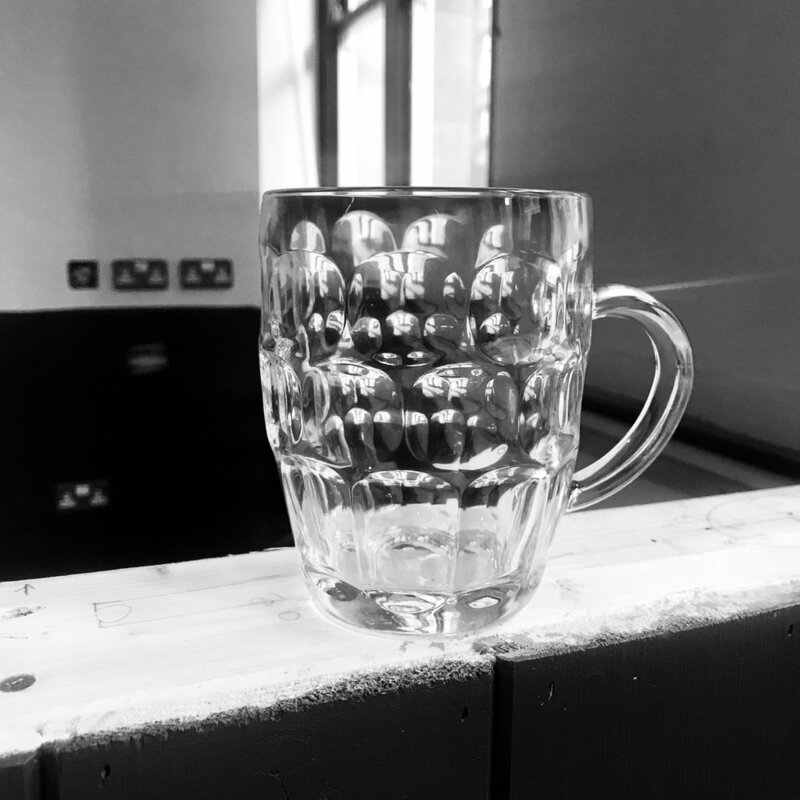 We will also be serving cask beers in traditional dimpled pint and half-pint glasses - for no other reason than we enjoy drinking out of them. As previously mentioned, there’s a huge amount of people that’ve been involved in getting us to this point. 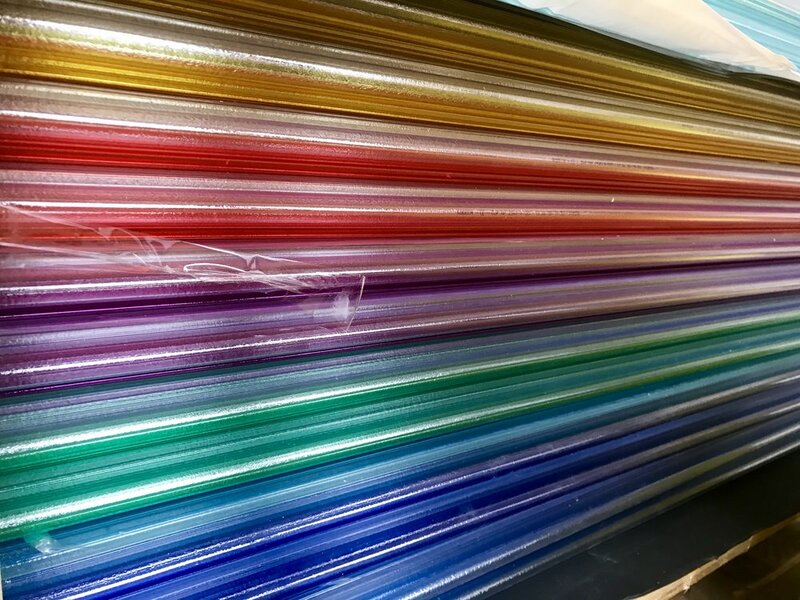 Some people we’re very grateful to are: Sixteen Real Estate, Up North Architects, Lancashire Construction (+ many other contractors), C&J Dispense, Newstead & Walker, Napthens, Savills, Helical and all suppliers of glassware and equipment. To undertake a project of this nature takes a huge amount of input from sooooo many people!! We look forward to seeing you this weekend if possible. As mentioned, we will very much be in soft opening mode, so it’ll be a bit ramshackle and will not be 100% finished for a little while. We will be closed next Monday, Tuesday and Wednesday, so the guys can finish the majority of the job. There are lots of events on this weekend, including many fringe events around the brilliant Indyman, so we hope you get to enjoy as many as possible. At the bar on Friday, we have a Burning Sky tap takeover as well as their founder and head brewer, Mark Tranter, in the house who has very kindly put together a punk soundtrack for our opening party. Our new speakers couldn’t have wished for a better Christening!! And finally, lots of love to our early supporters that pledged to our pre-launch crowdfunding campaign - your bar tabs are locked, loaded and ready to be spent!! Thanks for reading and hope to see you in the bar soon.